Today I want to write about a subject that popped up in my head yesterday. Swords. Viking swords but then I found another interested subject about the swords. Something about Excalibur from King Arthur. 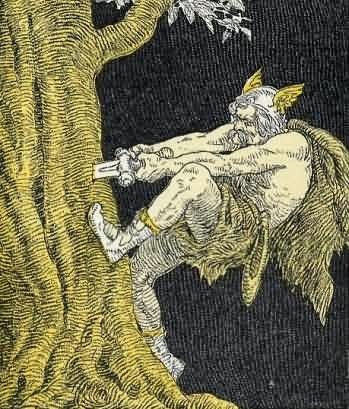 In short words Odin pushed the sword Gram into the heart of a mighty oak. Who took it out of there would be fated to win battles. Then I started to research a little bit more and find out that in several mythologies the Arthurian story was used. 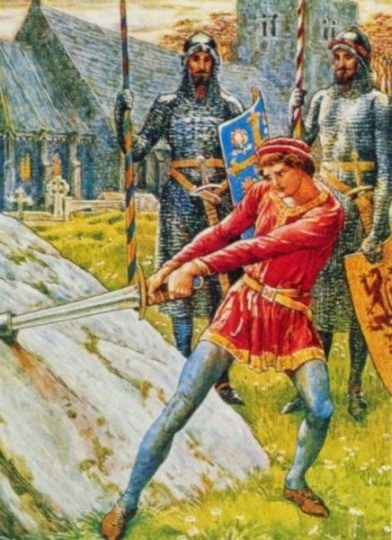 Both the stone story and the sword in the lake are used in different stories. You could say that I was overwhelmed by these aspect of the stories seem the same but are slightly different. I didn’t expect to find that many in different mythologies and legends. I liked the idea of writing about it. Conclusion: if Vikings and Arthur lived in the same timespan they have fight each other. But it is not certain if they did.